There are different styles that you can choose from: prairie style, art deco, arts & crafts, quilt, banners, and more. They come in different sizes from 12" by 12" up to 16" by 16". Below are photos of what is currently in our inventory of small sized stained glass panels. 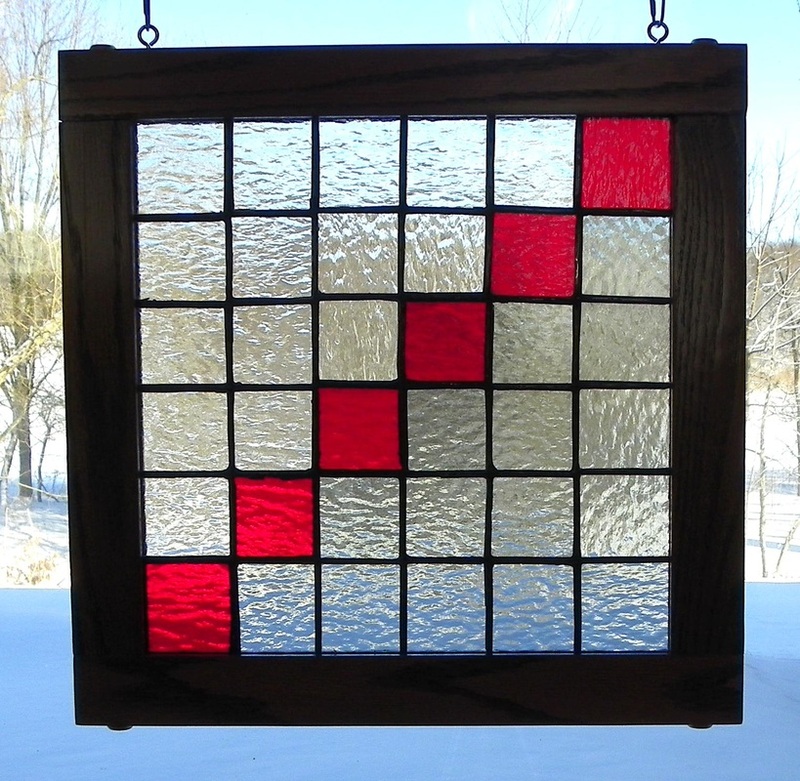 ITEM #016: Modern abstract style glass panel with red, clear, & gray color glass. The panel with frame is 15" by 15". The frame is made from red oak with ipswich color stain. Price is $35. ITEM #023: Modern abstract style glass panel. The panel with frame is 14" by 14". The frame is made from cherry wood with ipswich color stain. Price is $35.